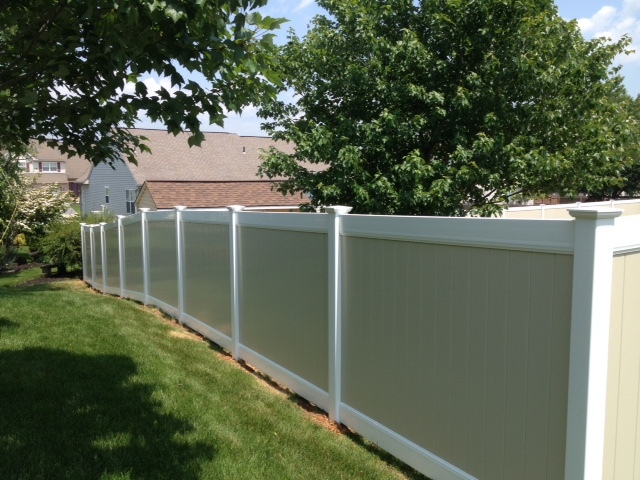 Blue Mountain Classic vinyl fence installed in two-tone; tan tongue and groove pickets with white framework. 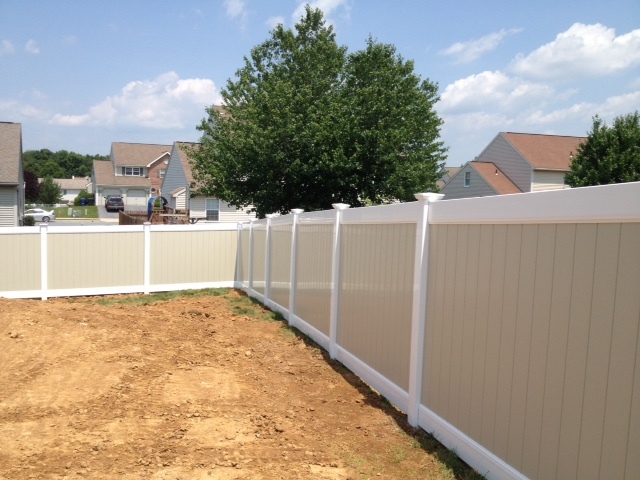 Fence sections measure 5’h x 8’w. 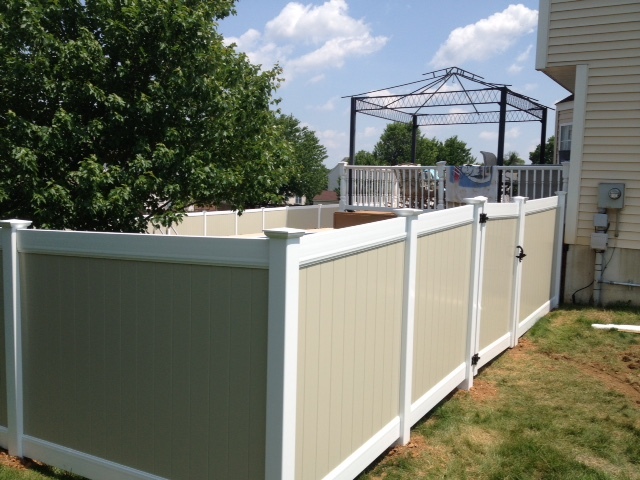 Fence includes 1-4’w swing gate and New England style post caps.